Find of the Week - "Homage to Max Ernst" by Roy Lichtenstein | What is it worth? The true bromance of two masters of modern art has us swooning this week! The find of this week is this abstract composition silkscreen by the Pop Art genius Roy Lichtenstein, “Homage to Max Ernst”, which is a part of the Moderna sale at Bukowskis Stockholm on October 18. 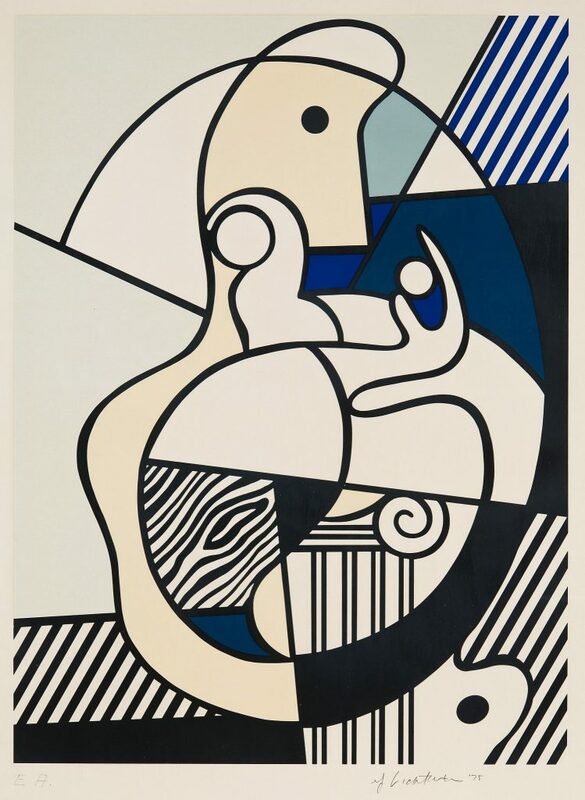 Predominantly blue, this composition combines typical Roy Lichtenstein attributes, such as comic book style cross hatching, with the curvy surreal shapes of Max Ernst. Roy Lichtenstein was particularly inspired by Ernst’s work after seeing the Max Ernst retrospective exhibition at the Grand Palais in Paris in 1975, resulting in the “Bonjour Max Ernst” series as an homage to the German Dadaist and Surrealist maestro. The main subject in the print seems to be a figure caught in a snail or Fibonacci spiral, standing above/in front of a Greek column and some wooden surface. The figure appears to have two arms holding one big and one small ball, reflecting the playful nature of Ernst’s work. This print was documented in the Catalogue Raisonné 1948–1997 by Mary Lee Corlett in 2002. Photo courtesy of Bukowskis.